I wrote an article to a book about peer-production in public services. 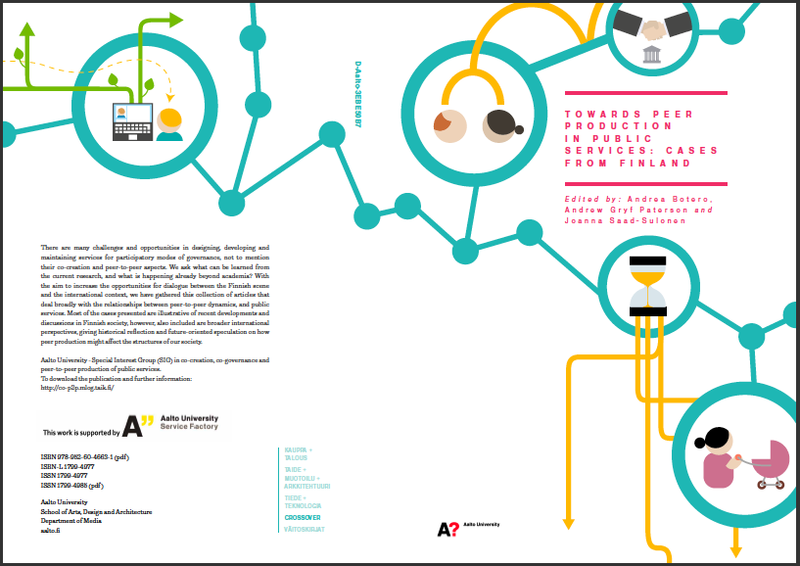 The book, edited by researchers from Aalto University, is a collection of articles that deal broadly with the relationships between peer-to-peer dynamics, and public services. Most of the cases presented are illustrative of recent developments and discussions in Finnish society, however, also included are broader international perspectives, giving historical reflection and future-oriented speculation on how peer production might affect the structures of our society. Of particular interest is the role of Internet and new media in making these developments visible and scalable. Posted in Aalto University, Collaboration, Sharing economy, Social Software.